After pickup from your central Boston hotel in a minibus, enjoy a morning snack during the 1.5-hour drive to Newport, Rhode Island. Listen to your informative guide provide historical commentary about Newport, which has been called 'America's First Resort'; feel free to ask questions in the relaxed company of your small group. You’ll also be given a guidebook and discount card, which will come in handy later on. 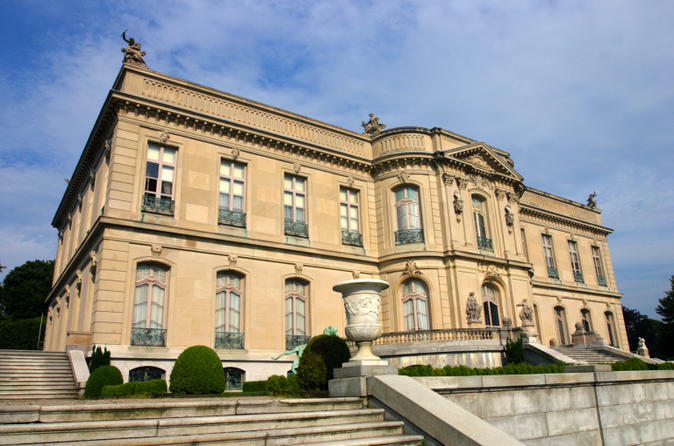 Arrive at The Breakers, the elegant summer home of Cornelius Vanderbilt II and his family, to explore for two hours. Tour the remarkable mansion, which covers a full acre of the 13-acre (5.2-hectare) oceanfront estate. It's one of many local mansions that served as getaways for America's rich and famous during the 20th century. During this time, you may take part in a 1.5-hour self-guided audio tour (available in nine languages). Directly behind The Breakers, take in gorgeous ocean views at the Newport Cliff Walk for great photo opportunities. Afterward, embark on an approx. 1-hour narrated city tour of Newport sights. See St Mary's Parish, where President John F Kennedy wed Jacqueline Bouvier in 1953. Drive by Touro Synagogue, the oldest synagogue in the US, and pass by Fort Adams and the Naval War College. Learn why Newport is considered a sailing mecca and admire lovely waterfront vistas from Ocean Drive. Finish your guided city tour at the Newport Visitors Center, where you can plan out your 1.5 hours of free time. Public transportation makes it easy to get around the city from this location, and take advantage of the guidebook and discount card provided earlier. See the International Tennis Hall of Fame at a discounted price, enjoy lunch on the oceanfront or browse the shops on the city's boardwalk (all at own expense). Following this leisurely break, meet with your guide again and head to The Elms, the summer residence of Mr. and Mrs. Edward Julius Berwind, modeled after a mid-18th century French chateau and now a National Historic Landmark. During your two hours here, learn about Mr. Berwind, who made his fortune in the coal industry, and wind through the Berwinds' lavish Renaissance art collection. Stroll through the Classic Revival grounds, admiring marble pavilions, sculptures, a sunken garden and a carriage house along the way. After The Elms, relax on the drive back to Boston and end your 10-hour tour with drop-off at your hotel.